Additional Information/14,000 Phillies Commentary: The cards are unnumbered and listed below in alphabetical order. Beckett’s online guide does not list Dave Roberts. However, I compiled my set from purchasing two different partial sets, and both of them contained his card. (However, I am still missing the one for Veterans Stadium.) 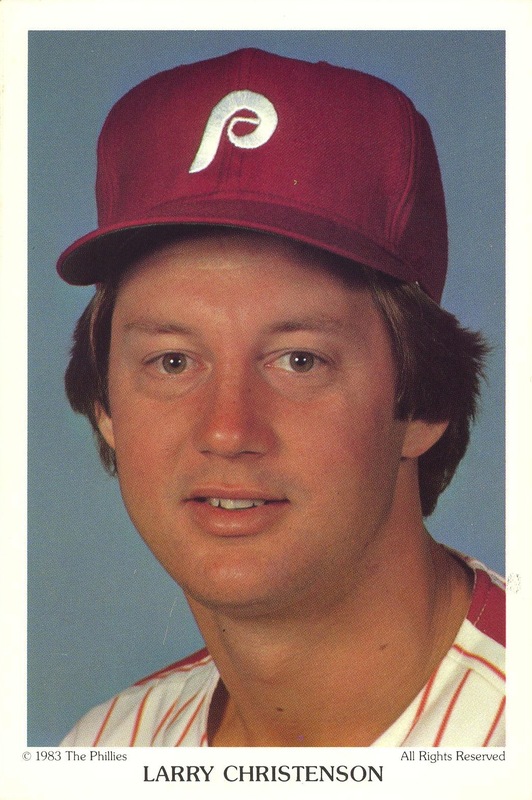 So, chalk this particular piece of information up as a 14,000 Phillies exclusive — none of the other online baseball card databases I consulted list the card. I assume that this is because they based their information off of Beckett. SCD’s 2011 Standard Catalog of Baseball Cards does not list this set. The only consistency on the back of the cards in the set is the Tastykake logo on the bottom of the back. 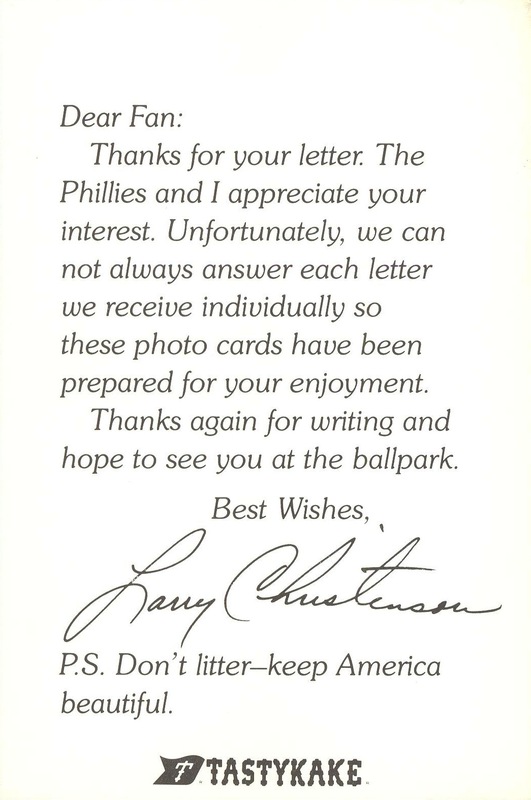 Otherwise, they could be blank-backed, bear text similar to that on the Christenson card above (albeit with a different slogan or no slogan at all), or just a slogan and a facsimile autograph. My personal favorite of the slogans has to be “Dope is for dopes-Don’t try it!” Interestingly, the PSA population report for this set shows that Rose’s card was available with two different backs, which suggests that this might be true for other cards in the set. Just as interestingly, it also doesn’t list the Roberts card.